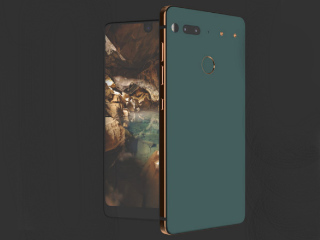 Essential Phone Is Finally Available For Purchase, Will Receive Android OS Updates For 2 Years - AndroGuider | One Stop For The Techy You! The wait is finally over. The unlocked Essential PH-1 (also known as 'Phone') is now up for pre-order on Amazon, Best Buy and Essential's website while the carrier locked model of the PH-1 can be brought from TELUS in Canada and Sprint in the United States. The unlocked variant of the device is currently being sold only in the US. The Essential Phone is being sold in two colors - Black Moon and Pure White. At the time of writing this article only the former color variant was available for purchase from all the shopping outlets. Coming to the price, the unlocked Black Moon PH-1 costs $699. Although the white model is not available for buying, the Amazon listing mentions the price as $691.78. The Amazon listing states that the pre-orders will start shipping from September 1. Those who had reserved the Essential Phone before will see their orders ship as soon as next week. If you buy the Phone from Essential's website, you can get hold of the 360° camera mod for $50 (original price $199). If you choose to buy the PH-1 via Sprint's Flex Lease program you will end up saving $260. The Flex Lease program will require you to pay monthly installments, each amounting to $14.58, for a period of one and a half years. Post the completion of this period, you can either choose to keep the device or get another phone. If you go with the former method you will have to spend about $175 to keep the Phone. Your total expenditure will amount to $440 which is still $260 than the cost of the unlocked model. Essential has also confirmed that the Phone will be getting major Android upgrades for a period of two years. This means that the Phone might get Android Q in 2019. Essential had earlier confirmed to us that the PH-1 will be getting monthly security patches. However back then they hadn't given any timeline for the monthly updates. The company has now stated that the Phone will be receiving monthly security patches for three years. Google provides monthly security patches for 18 months (2.5 years) after the last device has been sold off the Google Store. The PH-1 is therefore in par with the Pixel, Nexus and Android One devices in terms of software updates. Since the PH-1 runs stock Android that should allow for updates to be pushed quickly for the device. You can buy the PH-1 from the links given in the source.